Join us Nov. 8 to learn about the project to extend the Crystal City Potomac Yard Transitway to Pentagon City. This extension will run from Crystal Drive and Clark Street along 12th Street South to South Hayes Street and Army Navy Drive. 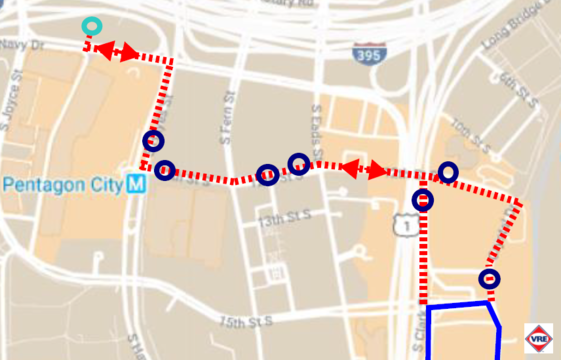 It will add 0.75 miles of bus-only lanes to the Transitway corridor, along with 7 new stations serving high-quality, high-capacity, frequent bus service. Staff are currently working to prepare the project’s traffic and operations analysis and complete design for the project’s first segment by summer 2019. Stop by anytime between 6:30 and 8 pm to discuss the project with County staff and have your questions answered. On Oct. 23, the County Board approved decreasing the speed limit on Crystal Drive by five miles per hour, from 30 mph to 25 mph. The new speed limit is expected to be implemented by the end of November. The change is based on a traffic engineering investigation the County conducted for Crystal Drive from 12th Street South to Route 1. The investigation analyzed speed statistics, collision history, pedestrian activity and roadway characteristics. Based on these factors, the investigation supported a reduced speed limit for this street. Crews continue removing and hauling away soil that supported the elevated Clark Street. 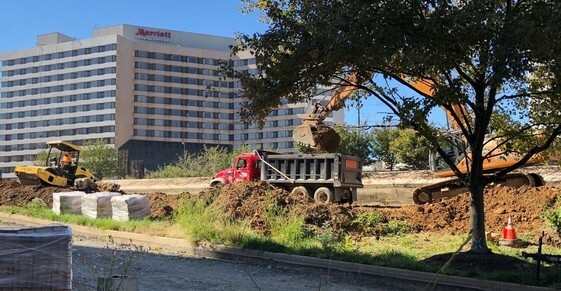 Currently, the contractor has hauled approximately 6,400 cubic yards of soil material off-site, out of approximately 22,000 cubic yards to be removed for the whole project. This operation is using approximately 15 trucks per day. Next week the contractor plans to crush and haul away the concrete walls and abutment from the since-removed 15th Street South bridge and from the wingwalls along the 15th Street off-ramp. Crews also continue excavation and concrete placement for the traffic signal foundations at the intersection of Route 1 and 20th Street South, and installation of street light foundations along the median and northbound right shoulder of Route 1 between 15th and 20th Streets South.